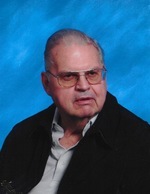 Willard “Bill” Robinson, 84, of Trempealeau, passed away Tuesday, October 31, at Mayo Clinic Health Systems in La Crosse. He was born June 5, 1933 in Ettrick, WI, to Leo and Rosella (Harmon) Robinson. Bill married Paulette Robinet on December 27, 1954. Bill was an avid reader of mystery novels and enjoyed playing Euchre and 500 with family and friends. Bill served in the U.S. Air Force during the Korean War. He was a member of The American Legion Post 354 and was recently recognized for 50 years of continuous membership. Bill’s career included selling tires for Nelson Tire, Trio Tire and Interstate Tire in Rochester. He and Paulette owned and operated Robinson’s Supper Club in Ettrick. He later worked at IBM in Rochester prior to his retirement. He was a member of the Ettrick Businessman’s Association; Ettrick Lion’s Club and served on the Ettrick Village Board for several years. He enjoyed being part of the Ettrick community. Bill is survived by: Paulette, his loving wife of 62 years; his seven children, Will Robinson of Inver Grove Heights, MN, Jackie (Jim) Walter of San Antonio, TX, Claudette (Fritz) Truax of Trempealeau, Colette “Turtle” Minser of White Bear Lake, MN, John Robinson of Austin, MN, Nicky (Dan) Gillett of Wisconsin Rapids, and Keith Robinson of Rochester, MN; 6 grandchildren, Dani (Brian) Rypka, Niki Robinson, Jamie (Emily) Walter, Jordan Walter, Melanie (Cole) Bawek and Xavier Robinson; 4 great-grandchildren; sister, Mary Jo Hosey of Beloit, WI; nephew, Jim (Debbie) Hosey, and niece, JoAnn (Bill) Pohl. He was preceded in death by: his brother-in-law, Jim Hosey; and son-in-law, Fred Minser. A funeral Mass will be held at 11:00 am on Saturday November 4, 2017 at St. Bridget’s’s Catholic Church in Ettrick. The Rev. Sebastion Koloeziejczyk officiating. Burial will follow in St. Bridget’s Catholic Cemetery. Friends may call at the church on Friday from 4:30 to 7:00 pm. A Rosary will be recited at 7:00 pm. Online condolences may be left at www.fossumfuneralhome.com. In lieu of flowers memorials may be given to the American Legion Post #354 in Ettrick, WI. To send flowers to the family of Willard Leo "Bill" Robinson, please visit our Heartfelt Sympathies Store.